Summer may be fast diminishing in England but I’m travelling in Europe at the moment and it’s still sunny enough that I need a high SPF! Of course, you should really use sun protection on daily basis, regardless of the weather. I’ve been using this sun cream for a few months now and it has both positive and negative features. I like that it offers broad spectrum protection from both UVA and UVB rays, and it also has additional anti-wrinkle properties. The product promises to whiten and correct skin tone, as is commonly seen in Korean products, which effectively leaves a bit of a white cast on your face. At first I didn’t like this much as it means you have to blend it in quite a lot and down your neck too, however after spending more time out in the sun I actually found it to work quite well as it reduces redness and gives a more even complexion, even over a tan. Dazzling Sunshine Make Up Sun Cream also claims to be soothing and moisturising, with a variety of botanical extracts, and it has a light, refreshing citrusy scent. 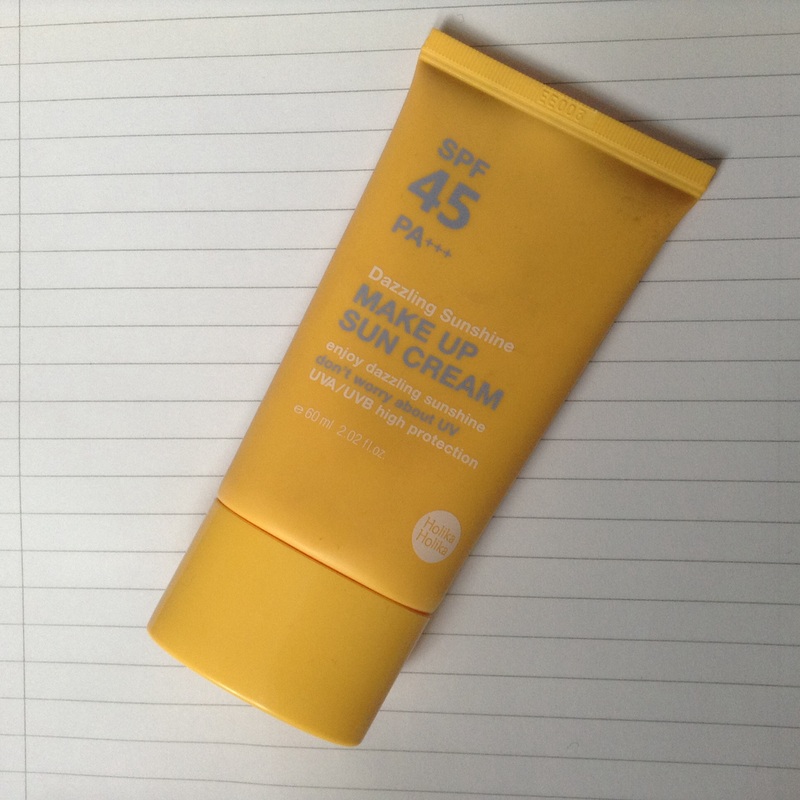 Overall I do like this product, it’s good value for money at around £6 for 60ml, however I think I’ll keep trying more facial sun blocks until I find my holy grail!